With Chicago Bears unraveling, what's next for Cutler and Jeffery? Well, someone has to talk about the unraveling Bears, and we're here to do it! 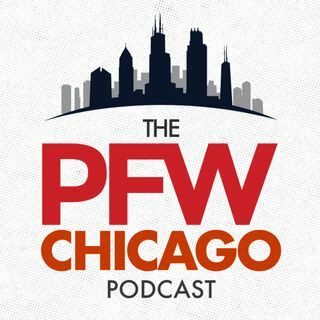 Kevin and John recap a wild and ugly 48 hours for the Bears and talk to Eric Edholm (@Eric_Edholm) of Yahoo Sports' Shutdown Corner (12:15) about the futures of Jay Cutler and Alshon Jeffery, and if there is any team in worse shape than the Bears. There are more games to be played, so Paul Schwartz, Giants beat writer for the New York Post (@NYPost_Schwartz) brings us behind enemy lines to discuss Odell ... See More Beckham Jr. and of course, Robbie Gould and the G-Men (26:45). The guys wrap up the show with their picks for Sunday's game.